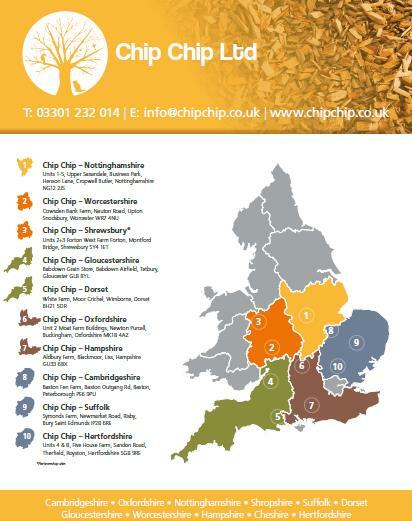 Chip Chip hit 10 depots. Force dried premium wood chip. Our regional role out continues and we are pleased to present our current area network coverage map.